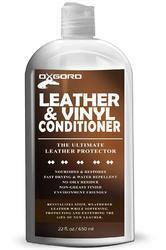 We are a leading Manufacturer of car air flow and leather vinyl polish from Delhi, India. 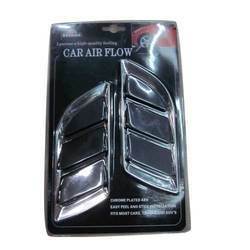 Our company has managed to carve a niche in the market for the manufacture of a wide range of Car Air Flow which are high quality of car accessories and they offer a high performance to the customers and have been made using the best technology available in the market and they have been priced at very reasonable rates in the market. These products offer a long lasting performance to the customers and they are high on demand in the market among the customers. We are passionately engaged in providing an exclusive array of Car Air Flow (item code 2). Offered car air flow is designed in sync with norms of market using advance techniques & supreme quality material. The offered car air flow is strictly checked on numerous stages of manufacturing by our quality analysts for assuring their excellence. 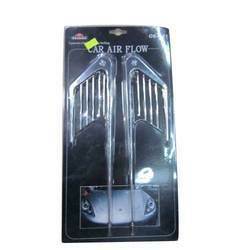 Customers can easily purchase this car air flow in various sizes & other specifications.